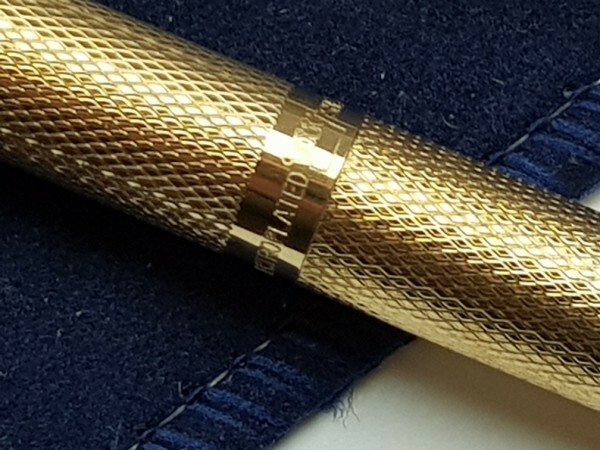 SHEAFFER IMPERIAL BALLPOINT BARLEYCORN - PENWORKSHOP - Sale of vintage, classic and modern fountain pens and pencils. Fountain pens bought. 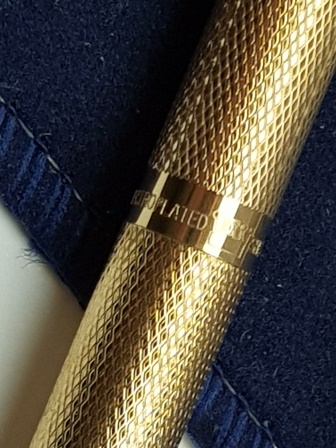 Gold plated with lovely barleycorn pattern. White dot to pocket clip. 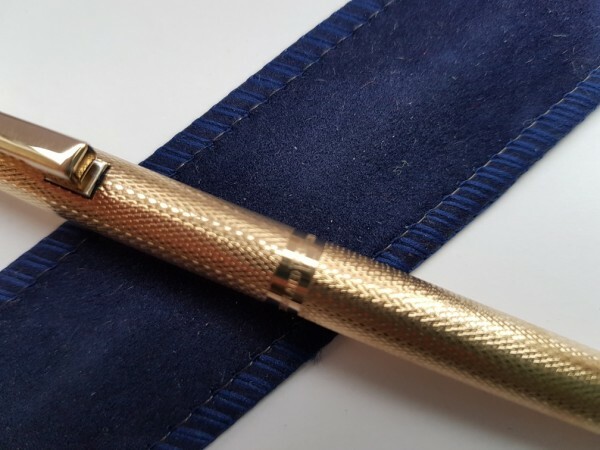 Cap actuated ballpoint. 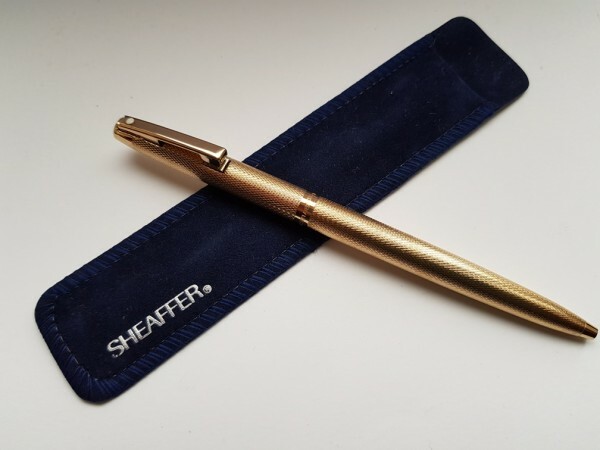 Takes readily available Sheaffer refills. New refill fitted. Perfect ding-free condition. Probably never used. 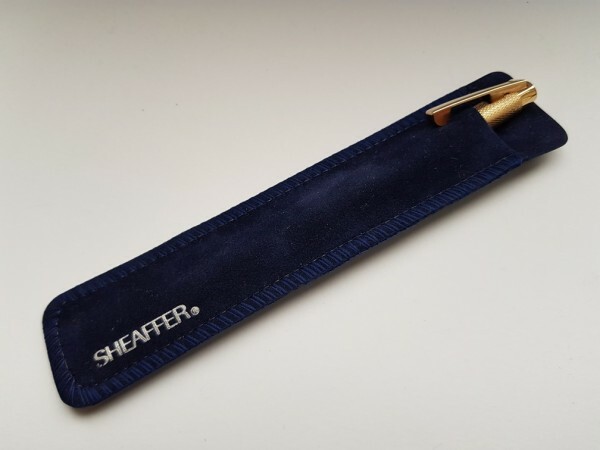 In Sheaffer pouch to make a lovely present?